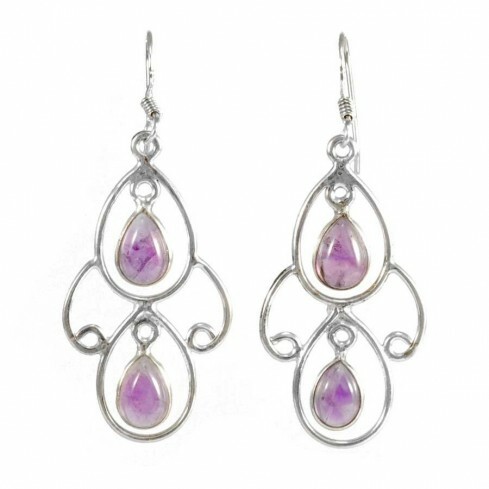 Handcrafted by Indian jewellery makers, these elegant sterling silver earrings have two beautiful natural gemstones of your choice. Perfect for evening-wear, or an ideal gift for someone special. Available with: Lapis Lazuli, Amethyst, Labradorite, Moonstone or Turquoise.